It’s been a while since I last meal planned. 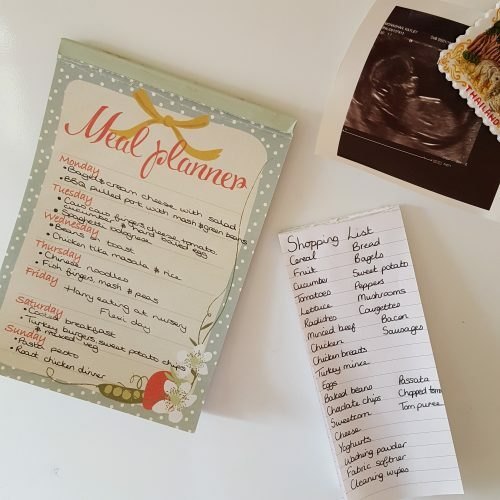 Thinking about food when you are suffering with Hyperemesis Gravidarum is not the most fun thing but I think our family has really suffered from us not having a plan in place, both nutritionally and financially. 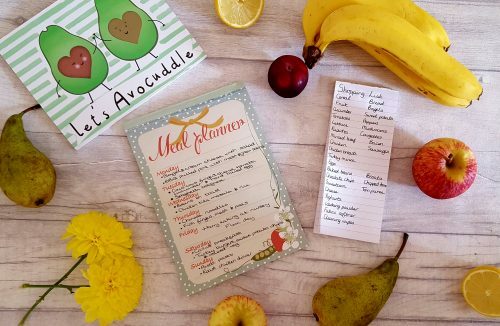 Along with this week’s meal plan I’m going to share a list of things that we like to have in our cupboards all the time, our store cupboard essentials that help us make something out of nothing when we get to the end of the month and money is tight. 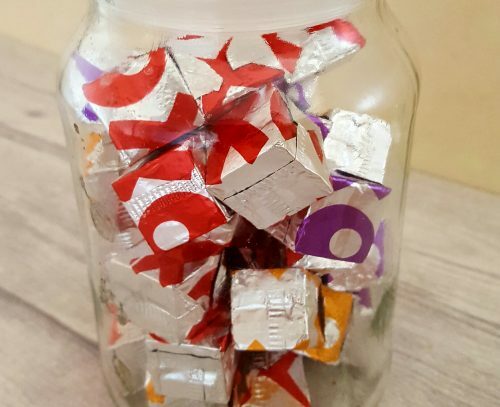 Having a few basic ingredients in the cupboards means that we can create something tasty for our family on those days where we haven’t planned ahead. Babies may not be allowed salt added to their food but it doesn’t mean they don’t like lots of flavour! 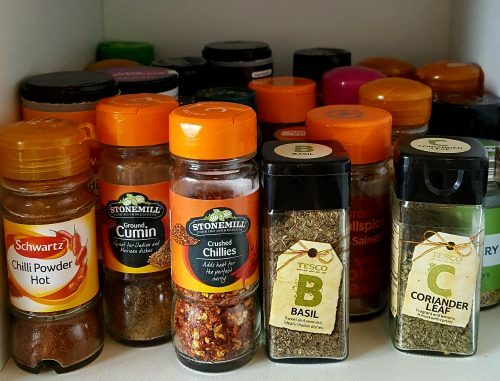 We have a whole shelf in our cupboard dedicated to herbs and spices and use them in everything! We use these as a base for casseroles, bolognese sauces, chilli, soups… all sorts! We use them in homemade curries, as a sauce on homemade pizza, as a quick pasta sauce. 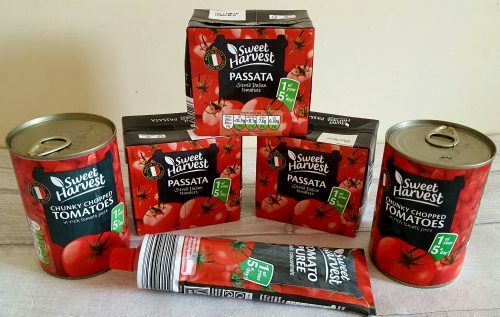 There are so many meals you can make with these as a base, they’re so cheap and a great way to get tomatoes into your little one if they usually refuse. 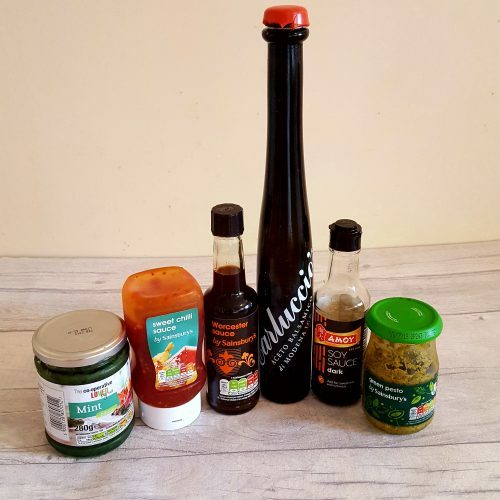 Worcester sauce, balsamic vinegar, sweet chilli sauce, pesto, mint sauce etc. can all be used within cooking to add more flavour. Harry loves pasta and pesto or a bit of mint sauce mixed in with some cream cheese as a pasta sauce or on gnocci. We like to make our own chicken stock and freeze it for when we need it but we always like to have some beef, lamb and vegetable stock cubes in the cupboard. 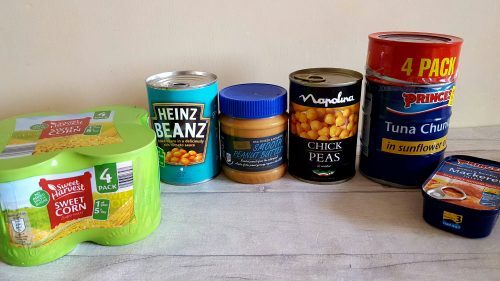 Baked beans, tuna, chickpeas and sweetcorn are things we use regularly and like to have in the cupboard at all times. 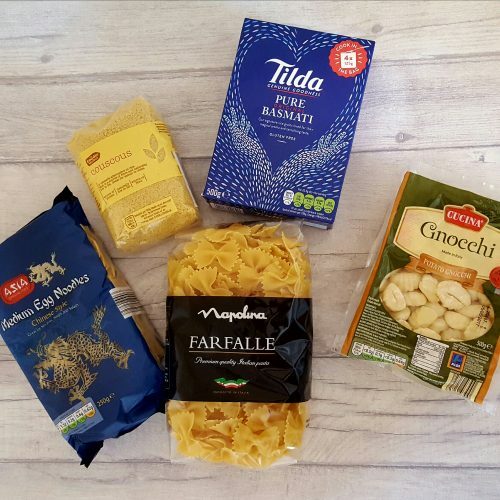 Pasta, rice, couscous, lentils… It’s so easy to make a meal out of nothing when you have these in the cupboard. 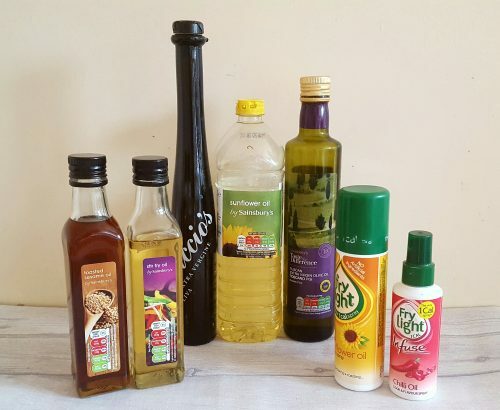 We always have olive oil, vegetable oil, sunflower oil and fry light in the cupboard. If I am cooking for the whole family I generally use fry light, if it’s just for Harry I will use olive oil. Ok, so it’s not in the cupboard but we like to have certain things in the freezer too so I thought I’d give them a mention. Frozen vegetables are used every day in our house, they’re quick, healthy and save on waste. We also love frozen mashed potato as a lazy accompaniment to midweek meals. Bagel and cream cheese with salad.